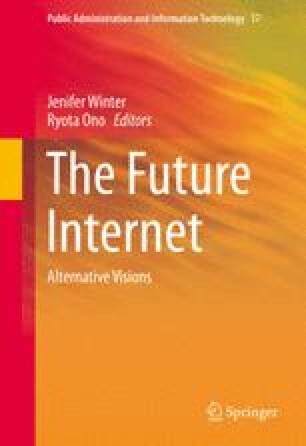 The futures of the Internet are uncertain. We are living in a time that will be remembered as the great biotech boom, when biology and technology finally and completely merged into one and synthetic life became indistinguishable from natural life. DNA, the building block of life, can be programmed on a computer by virtually anyone. Technology is advancing at an incredibly rapid pace, yet limits to our growth are everywhere. We face shortages of energy, food, water, social goodwill, and political equality. These challenges may serve to undermine any efforts towards technological salvation. Either way, synthetic biology and emerging biotechnologies have arrived, and they will have a significant impact on our lives and our collective future(s). The Internet currently plays a central role in the production of synthetic life forms by providing the platform for global collaboration—the capacity to literally transport life through space via strands of DNA code. Whether the proliferation of synthetic organisms is a force for good, increasing our quality of life, or yet another techno-optimistic distraction from truly pressing issues, like climate change, food security, water security, and species extinction, is a question for historians of the future.